For over a week, a young orca mother’s unprecedented grief has reminded all of us about what southern resident orcas face. Heart-wrenching photos of Tahlequah (J35) carrying her dead calf on her head have flooded social media and touched us deeply. As Tahlequah periodically dives for her sinking dead calf, she is expending precious energy that slowly consumes her own shrinking blubber reserves. Her pod swims alongside, unable to break the bonds of family even in the face of desperate hunger themselves. There is no one silver bullet solution that will reverse the decline in the next year. However, the fate of the orcas is too important to you and to us here at WCV. Sign this statement of support urging Governor Inslee and the Orca Recovery Task Force to take bold, creative, and meaningful measures now. Make your voice heard by voting in the current primary election. See WCV’s endorsements here! Engage with your community on the importance of orcas to you. You have the most influence on people you know personally, and now is the time to grow the chorus of voices for orca recovery and build awareness of the desperate plight of the orcas. Support farmers, businesses, and local food providers that invest in salmon-safe practices. The lack of salmon is a statewide issue, so wherever you live, please seek out local food opportunities that respect salmon. Make 3 changes to your own personal practices that damage habitat and contribute pollution. Reduce single-occupancy vehicle travel, decrease water consumption, eliminate pesticides where you live, and switch to non-toxic personal care products. Tahlequah’s dead calf is a stark reminder that if we fail these whales now, that’s on all of us. The choices we as a region make in the coming months will determine the fate of southern resident orcas. 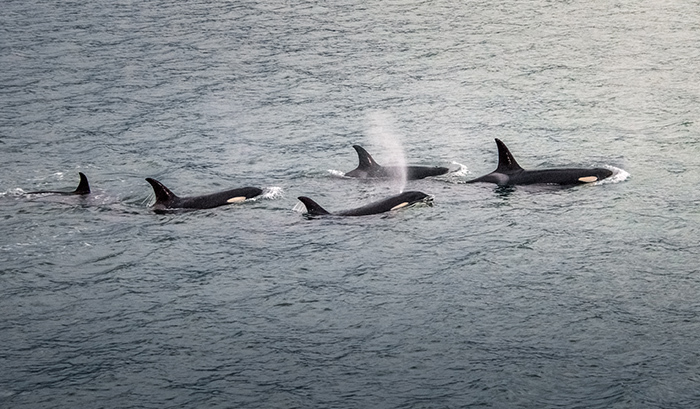 Governor Inslee appointed our sister organization Washington Environmental Council to serve on the Orca Task Force, a group of organizations that will make recommendations for action. In October 2018, the task force will release a first set of short-term actions, which will be available for public review and comment. We will need your help in October to push for the strongest recommendations from the task force. Later in 2019, a second set of recommendations will focus on 2020 and beyond. Stay tuned as we learn more on the Orca Recovery Task Force recommendations.